The Fourth of July, 2017, was the hundredth birthday of the Fremont Bridge. 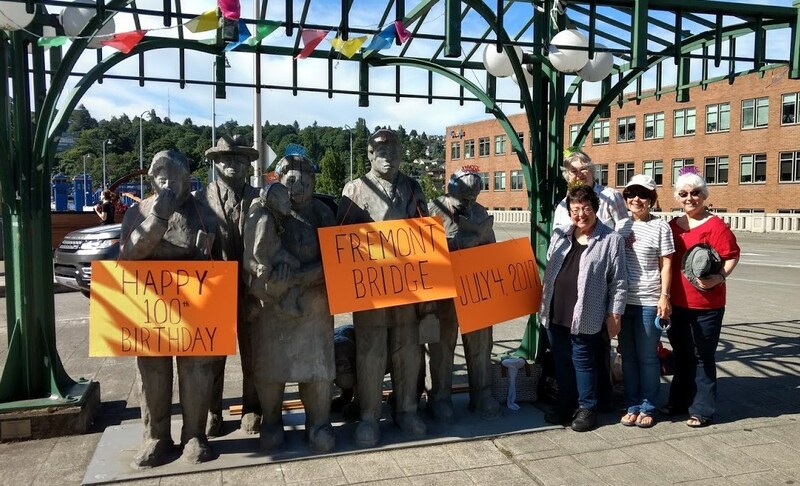 Members of the Fremont Historical Society decorated the Waiting for the Interurban statue for the occasion. The statue is at the corner of Fremont Avenue and North 34th Street, the last intersection before crossing the bridge. The “Interurban” was a train line which once ran from Pioneer Square in Seattle to Everett, about fifty miles north of Seattle.